The Frigidaire Gallery 30-inch Electric Wall Oven features a large 4.6 cu. ft. oven so you have more room to cook multiple items at once. The Ready-Select control panel makes it easy to set cooking temperatures or choose one-touch cooking options for baking and cooking at the touch of a button. Options include a Keep Warm setting, delayed baking, and timed cooking options, so you can cook on your schedule. Gallery 4.6 cu. ft. 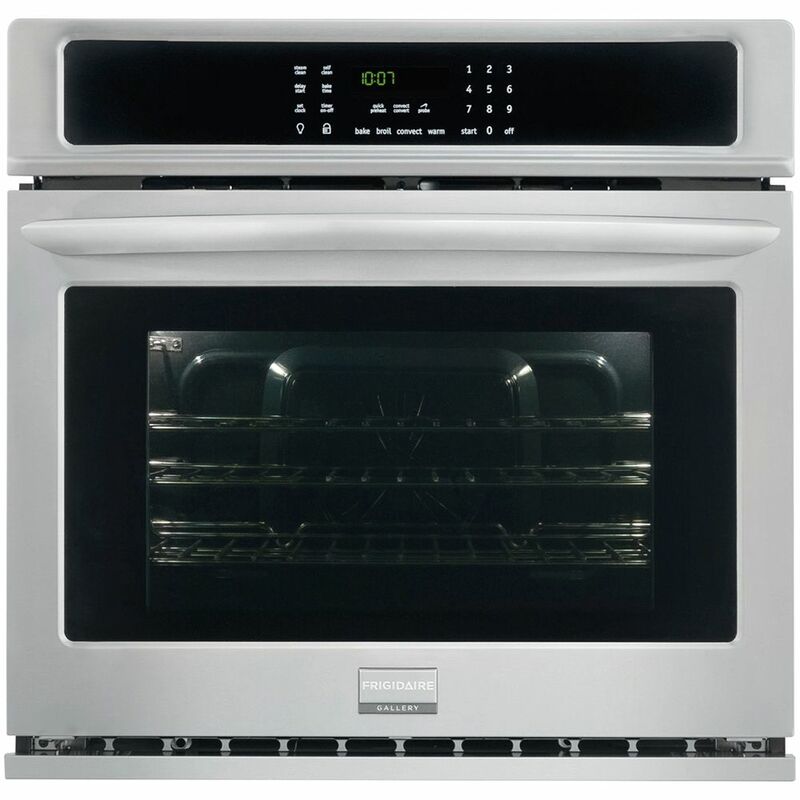 Single Electric Wall Oven in Stainless Steel The Frigidaire Gallery 30-inch Electric Wall Oven features a large 4.6 cu. ft. oven so you have more room to cook multiple items at once. The Ready-Select control panel makes it easy to set cooking temperatures or choose one-touch cooking options for baking and cooking at the touch of a button. Options include a Keep Warm setting, delayed baking, and timed cooking options, so you can cook on your schedule. Gallery 4.6 cu. ft. Single Electric Wall Oven in Stainless Steel is rated 4.4 out of 5 by 355. Rated 4 out of 5 by Anonymous from Looks and works great so far. ... Looks and works great so far.